Last week, we brought you the news that the Ford Mustang was the bestselling sporty coupe in the world for 2017, marking the third straight year that the Motor Company’s pony car has held that title. Of course, being the bestselling sporty coupe in the world means that it has to lead segments outside of the US, so while the American market buys the most Mustangs – the car leads many other markets as well. 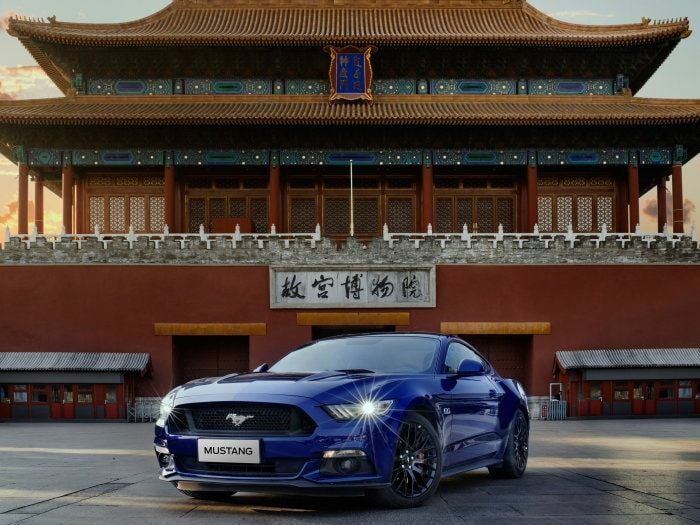 One foreign market where the S550 Ford Mustang has been a huge success is China, where sales of the powerful pony car were up 35% from the year before. The Ford Mustang was first introduced to the Chinese market with the right-hand-drive configuration in 2015 and sales numbers continue to climb from year to year. In addition to the 35% increase from 2016 to 2017, female buyer numbers have increased by 10% over the past few years and data shows that Chinese millennials particularly love the Mustang. For those unfamiliar with the Tmall reference, there is a huge vending machine in China where you can rent cars with your smart phone. It is kind of a combination between a parking garage and a vending machine, with the automated system bringing cars to the ground for rental customers. While Ford of China hasn’t offered exact sales numbers for the past three years, they do point out that local Mustang owners clubs now have more than 4,000 members – a number which has risen sharply since the S550 model was introduced for 2015 as the first globally-marketed example of the legendary American performance car. The statement from Ford includes a comment from Miss Ru, a Chinese television and film producer who recently purchased a new Mustang. She was originally looking at luxury vehicles, but she instead went with a new Ford Mustang. Miss Ru got her Mustang in black, as have many Chinese buyers. Shadow Black, Race Red and Lightning Blue have proven to be the most popular colors in the Chinese market, with the areas of Beijing, Shanghai, and Hangzhou leading the market in 2017 annual sales. The odds are good that the Mustang’s popularity will continue through 2018, unless the Chinese market sees an introduction of a new model that combines premium feel and the performance for such a relatively low price.